Best buds George and Harold have been creating comics for years, but now that they’re in 5th grade, they figure it's time to level up and write a musical based on their favorite character, Dog Man, the crime-biting sensation who is part dog, part man, and ALL HERO!! How hard could it be? 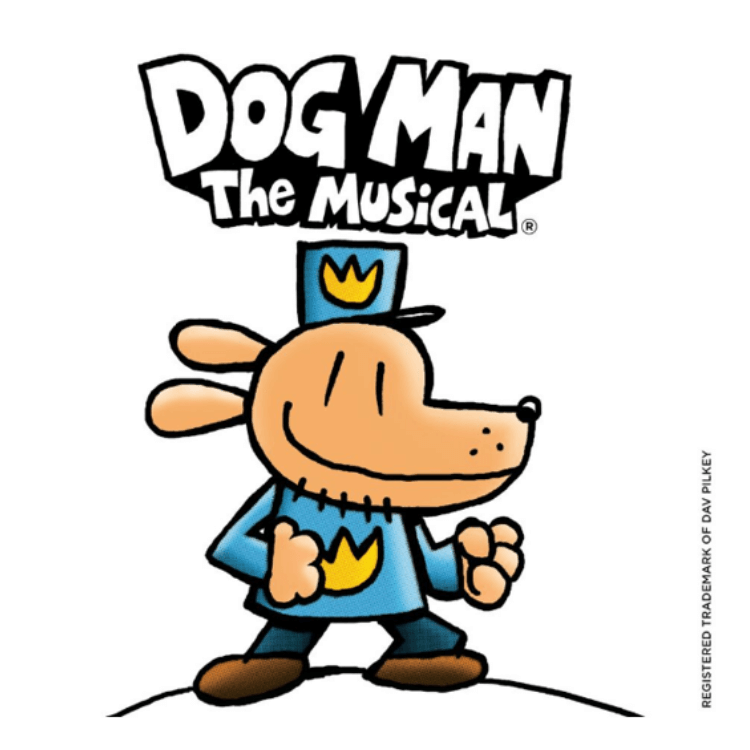 With the head of a dog and the body of a policeman, Dog Man loves to fight crime and chew on the furniture. But while trying his best to be a good boy, can he save the city from Flippy the cyborg fish and his army of Beasty Buildings? Can he catch Petey, the world’s most evil cat, who has cloned himself to exact revenge on the doggy do-gooder? And will George and Harold finish their show before lunchtime?? Find out in this epic musical adventure featuring the hilarity and heart of Dav Pilkey’s beloved characters. Running this summer: The world premiere of this TheaterWorksUSA original production will be presented by special arrangement with The Lucille Lortel Theatre Foundation June 28 to August 4. Dog Man was an instant bestseller, appealing to kids and critics alike, and now has more than 23 million copies in print to date and translations available in more than 21 languages.